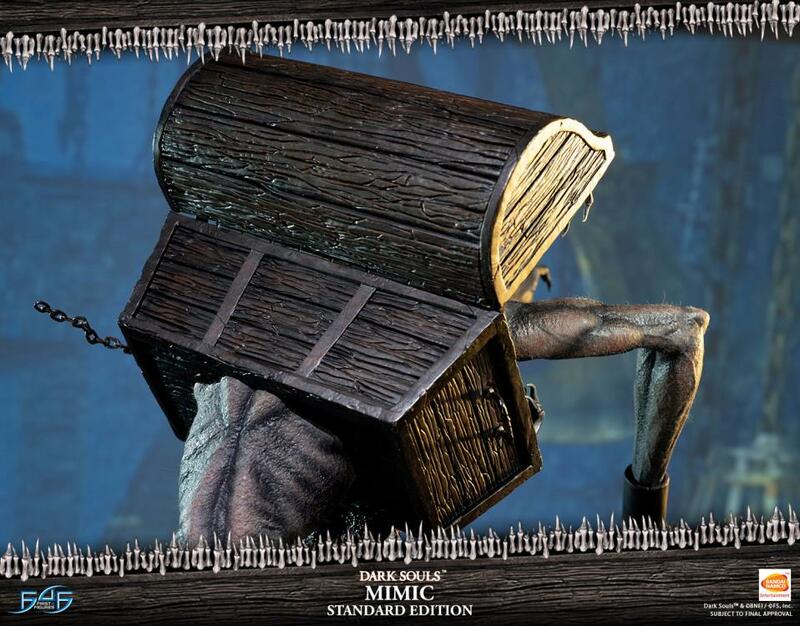 Sleeping in the corners of Lordran, the Land of Ancient Lords, are these seemingly harmless treasure chests awaiting discovery. 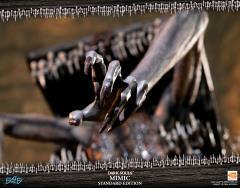 Sooner or later, inexperienced and greedy travelers would befall the Mimic's clutches as they attempt to retrieve the treasures within. 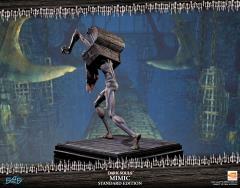 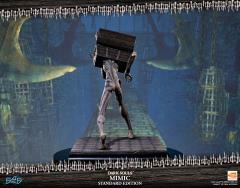 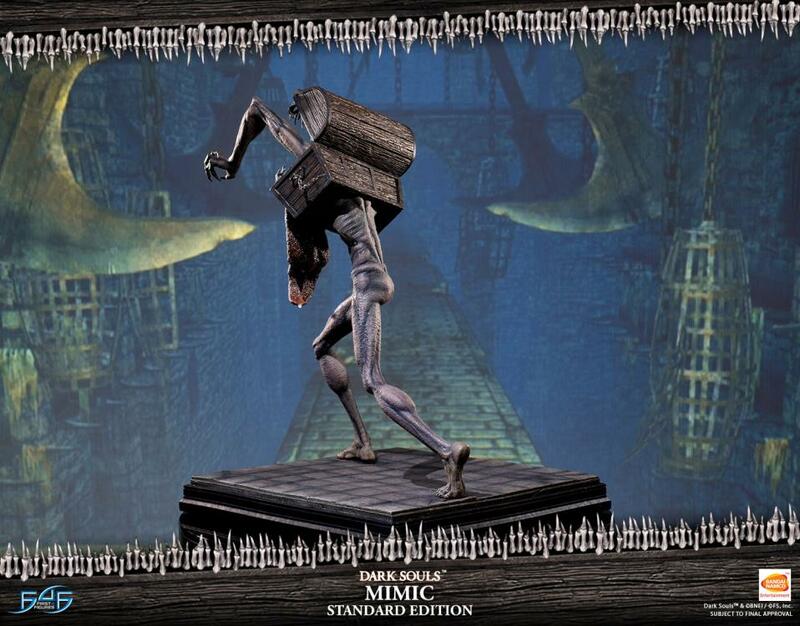 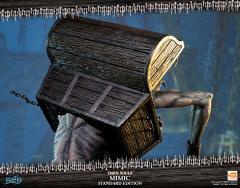 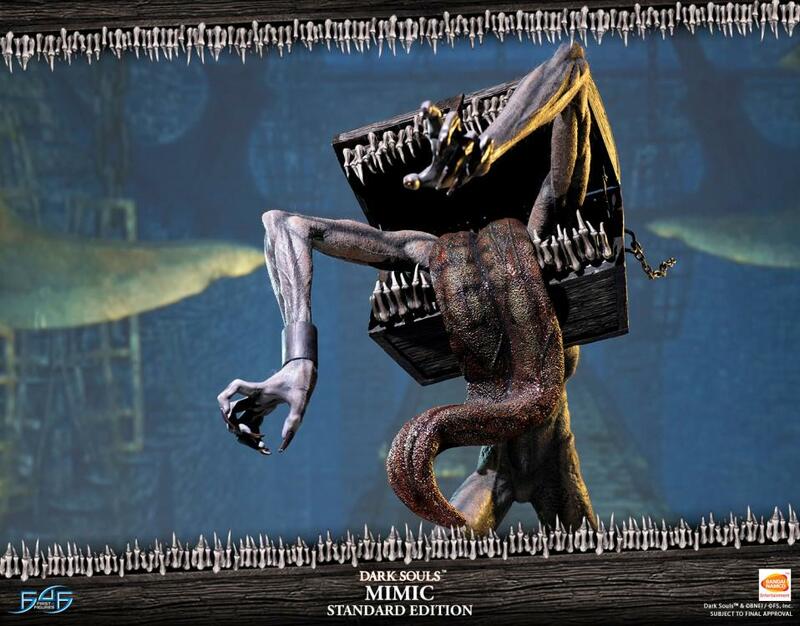 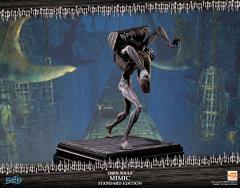 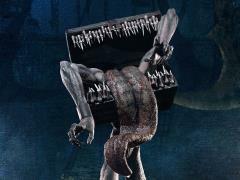 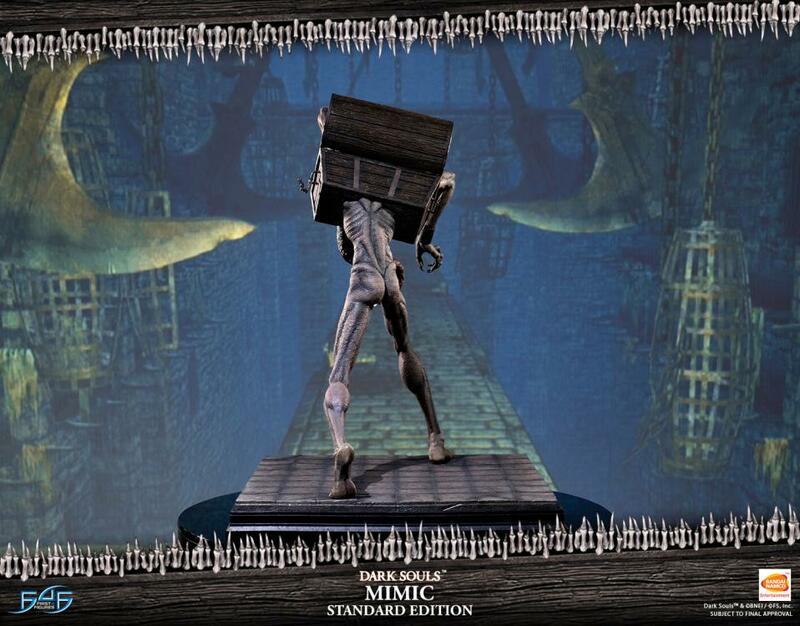 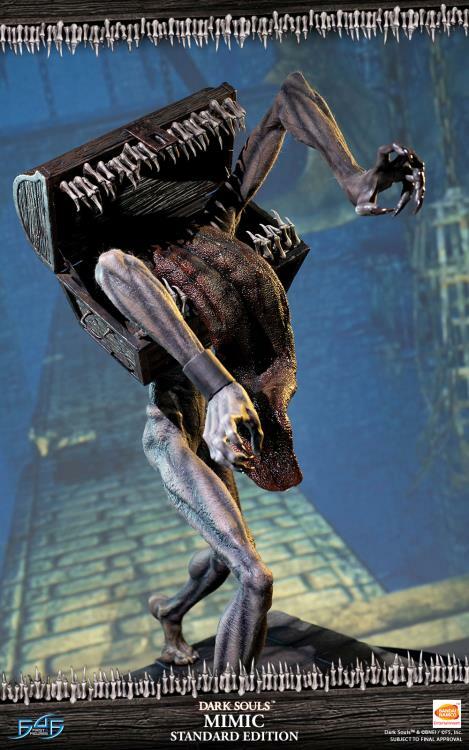 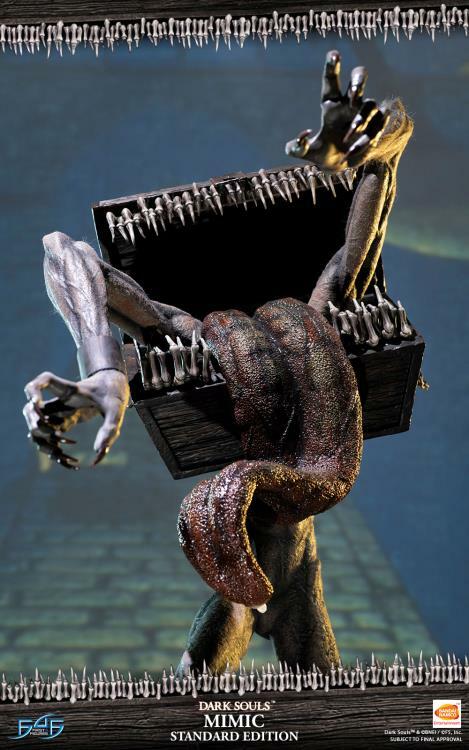 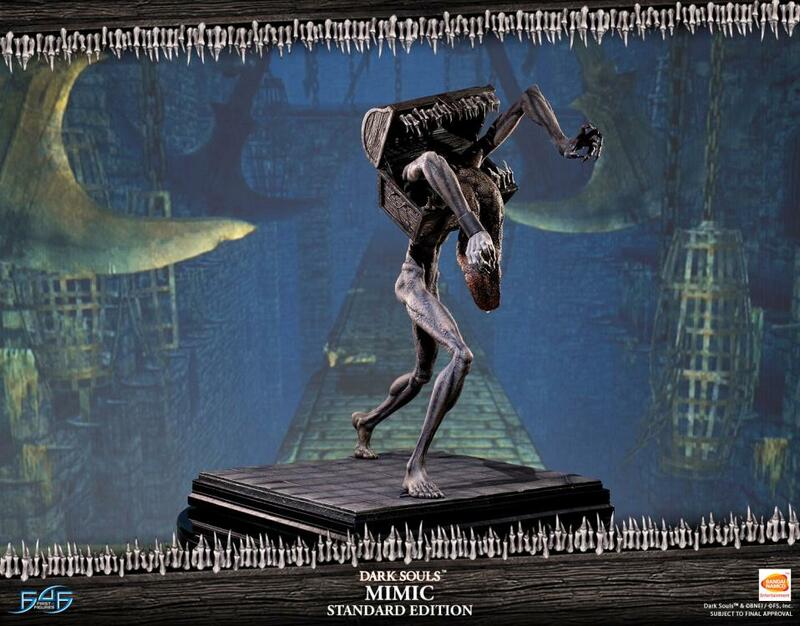 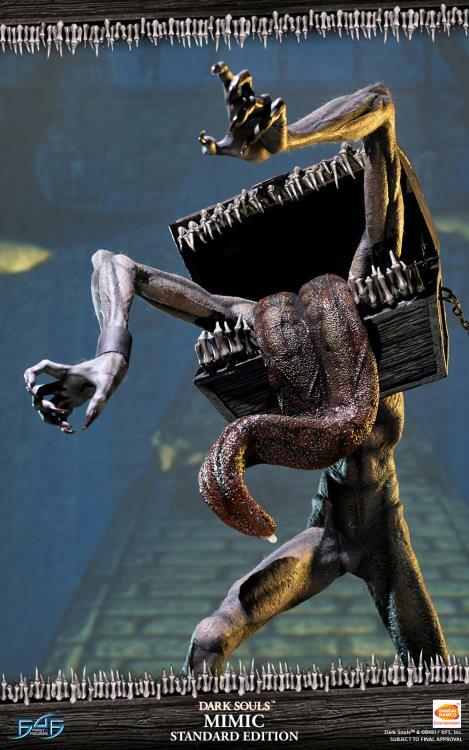 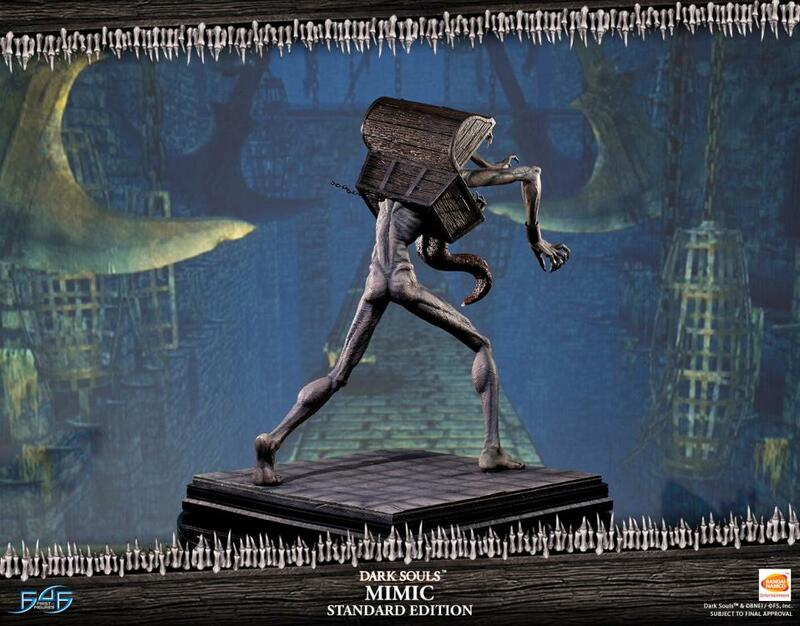 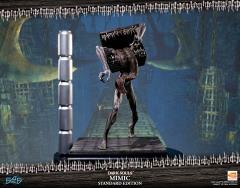 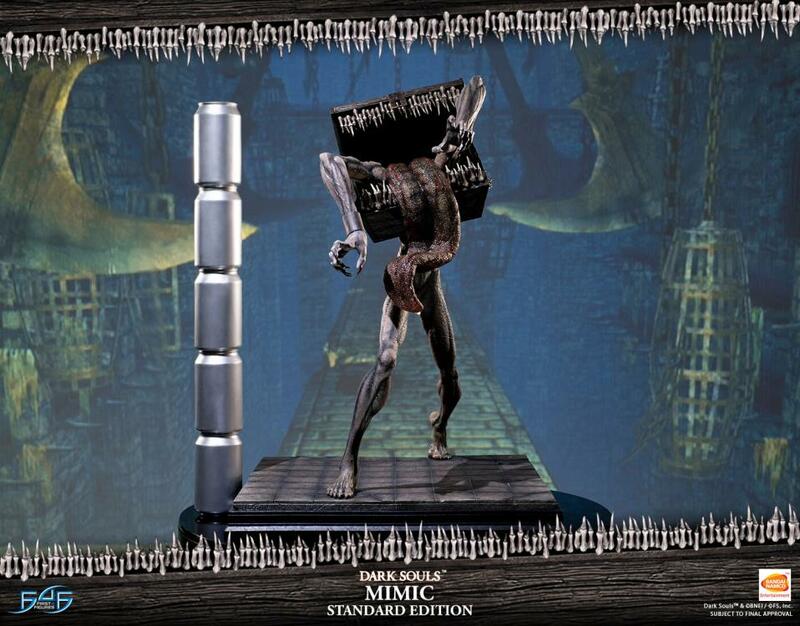 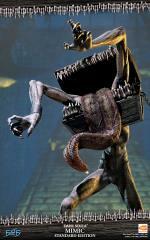 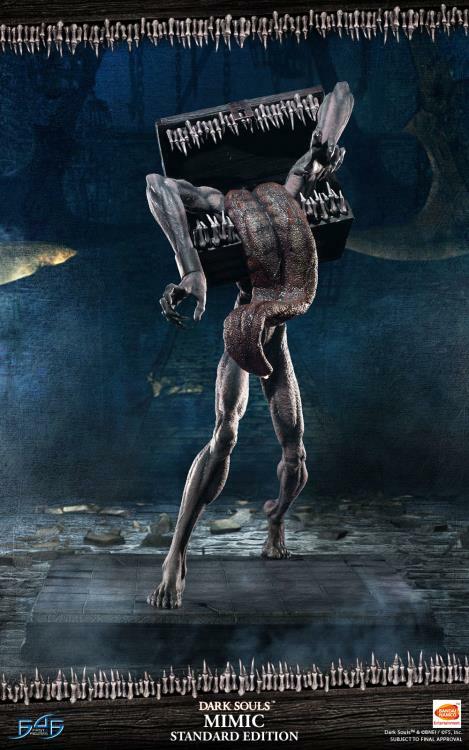 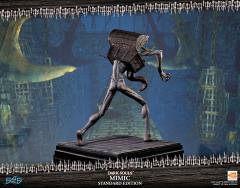 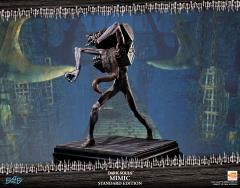 Mimics are unique monsters disguised as treasure chests. 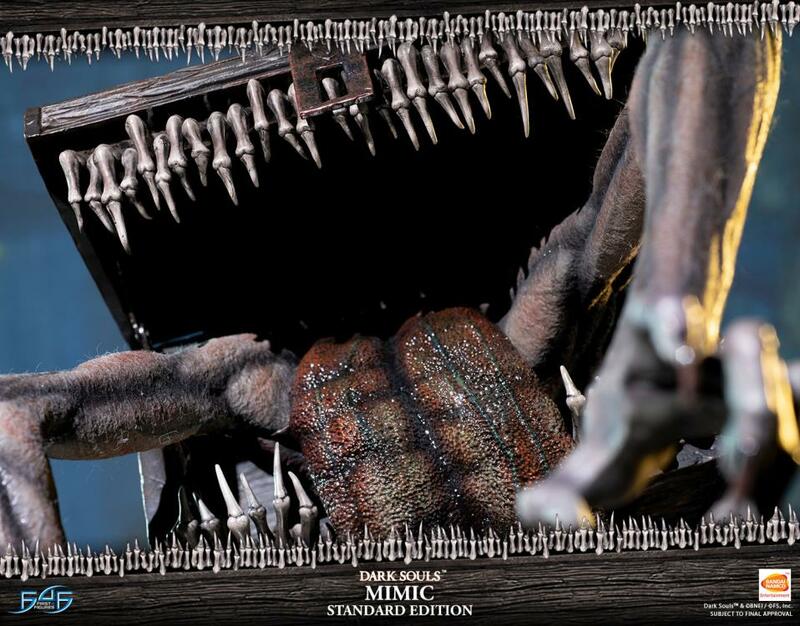 If players mistakenly open one of these, it will grab and sink its teeth into them with no remorse. 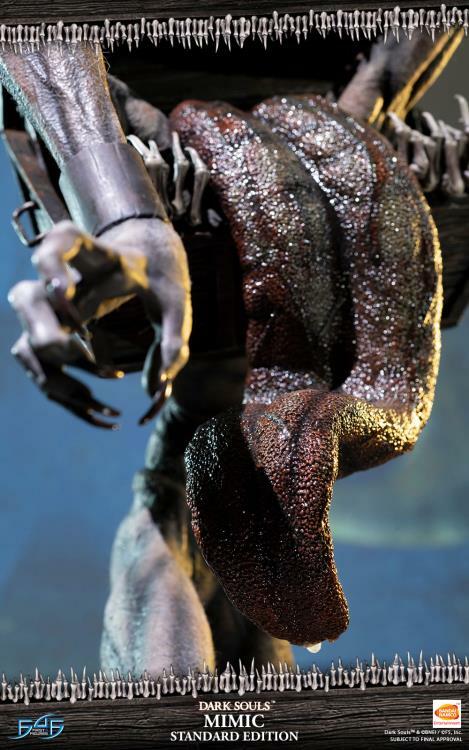 If attacked, it will reveal its true and intimidating nature and shred the ill-fated apart. 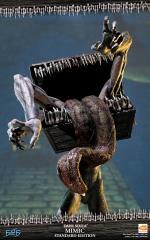 Rumor has it that the treasures they keep are belongings of their unfortunate victims of past. 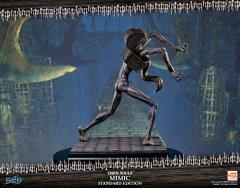 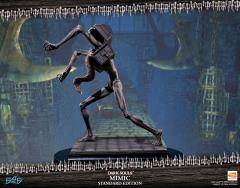 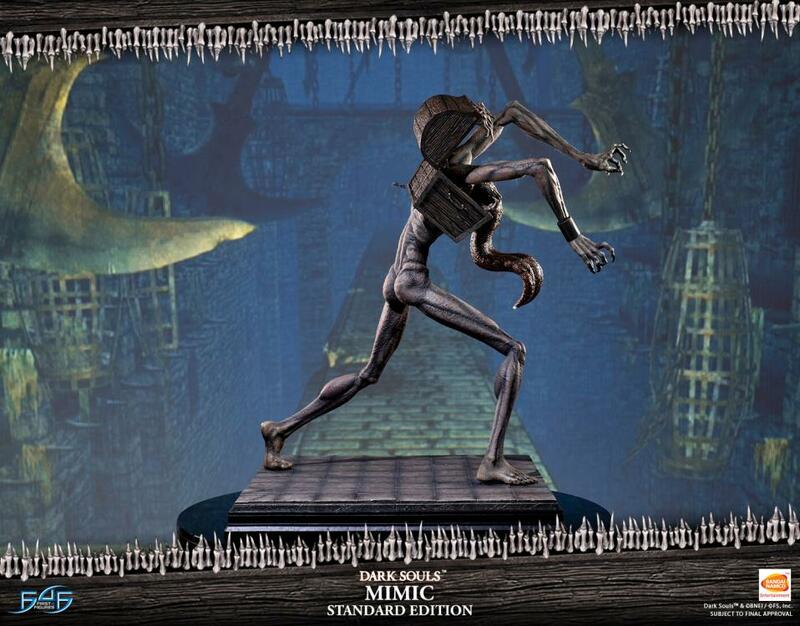 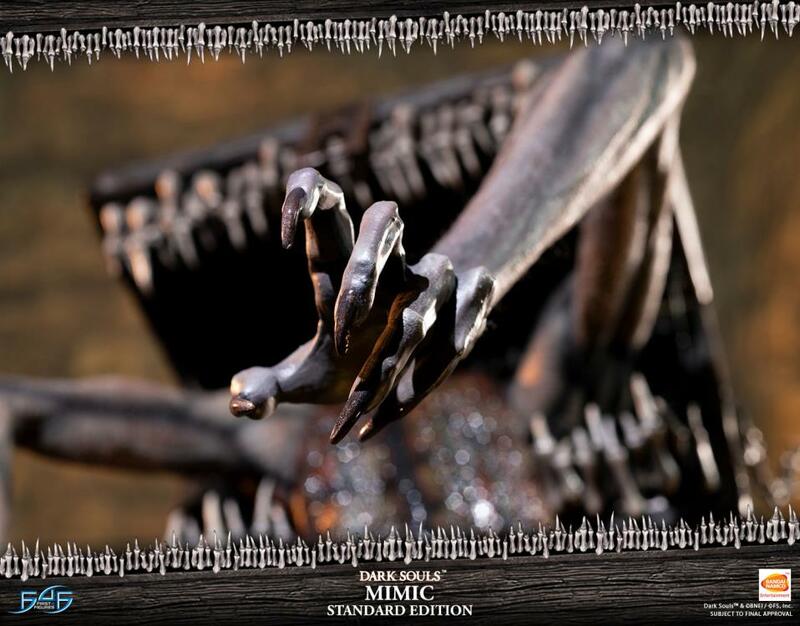 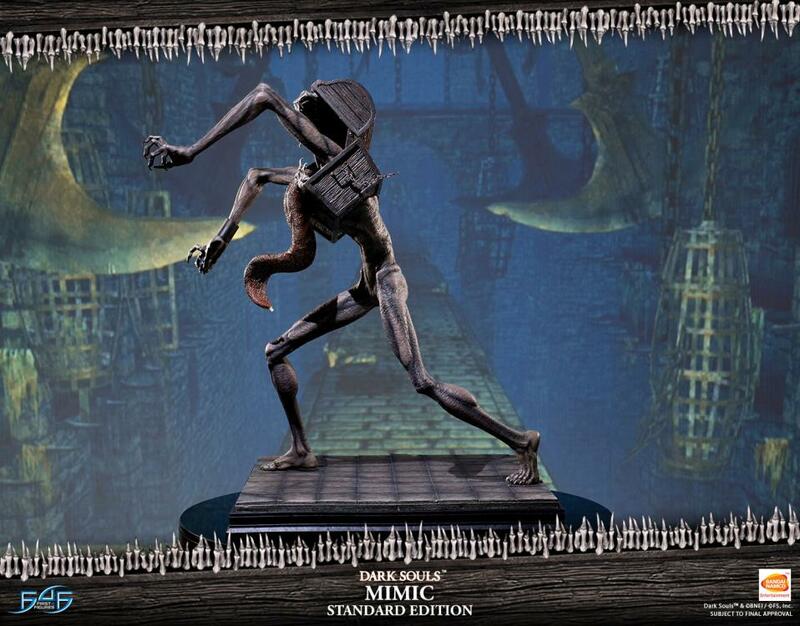 This is the fifth statue in First 4 Figures Dark Souls statue line, and features a highly detailed base inspired by the theme and style of the video games. 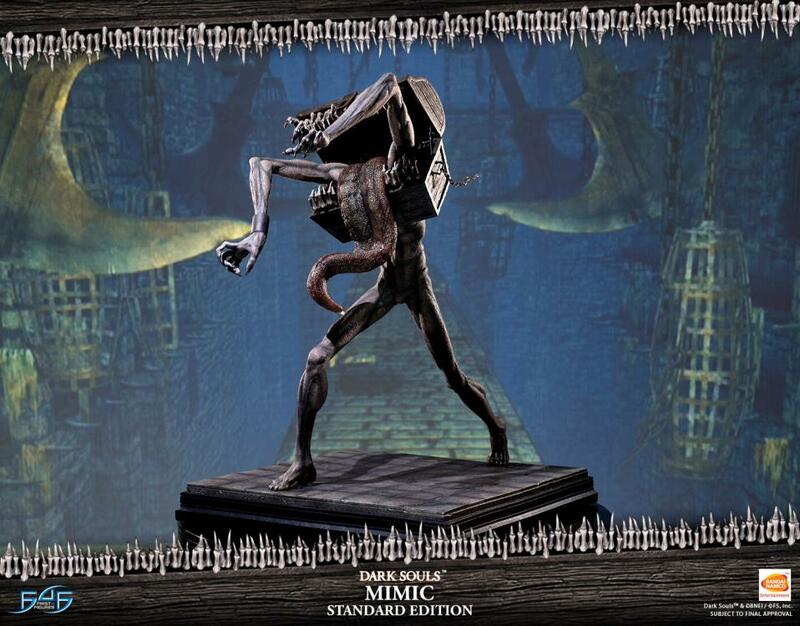 This statue also includes an Authentication Card.